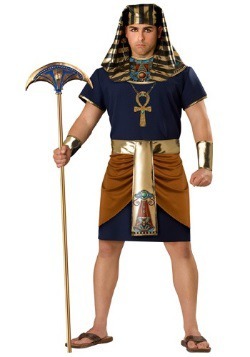 We know what you are thinking "Oh no, my boy is too young you to be a pharaoh! He's not ready, they are taking away his childhood!" 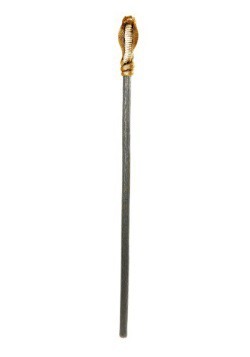 While we can see where you're coming from, we aren't sure that the ancient Egyptians would agree. 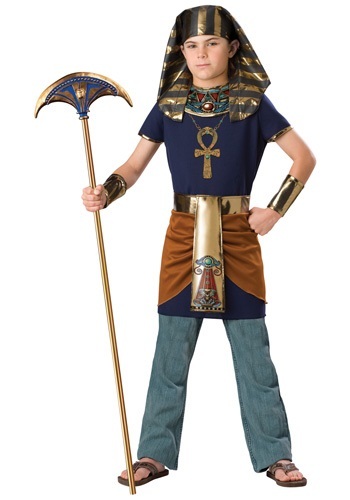 After all, King tut sat on the throne at the age of nine. That's right, nine! When we were nine we couldn't even be trusted to use a cup without a lid, yet he was trusted with an entire empire! Pretty impressive, isn't it? We aren't sure what nine year old us would have done if we were given that kind of power, but it probably wouldn't have been good. We would have made everyone do the chicken dance every morning at exactly 9:00 AM or something ridiculous like that. 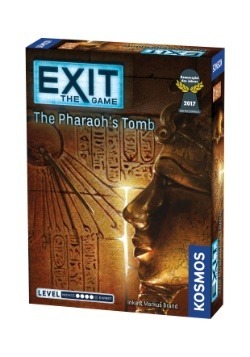 We probably wouldn't have been a very responsible pharaoh, but we would have had a lot of fun! 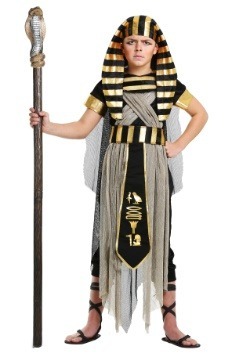 This costume is the first step in turning your kid into an all powerful pharaoh! Now they just need a kingdom to rule; easy, right? 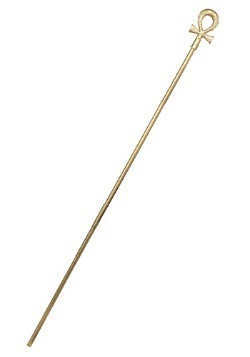 They'll be wearing a navy blue tunic with a decorated collar to add to their royal effect. But that's not all. 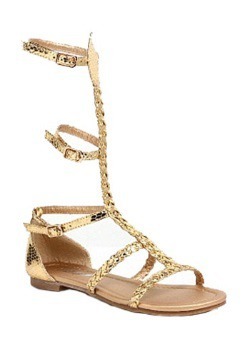 They'll be wearing gold-colored wrist cuffs and a belt with gold detailing and even more importantly, the headdress. 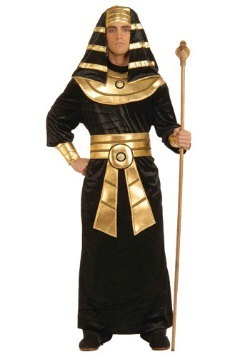 The headdress is black and gold and is the single most recognizable piece of the whole costume. One glance at their headwear and you know they are charge around here! 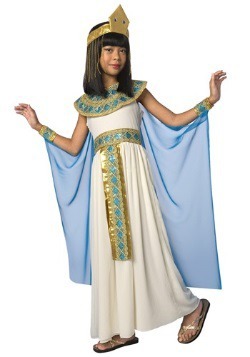 What would you have done if you were made a pharaoh by the age of nine? Maybe you'd have incited a nationwide game of tag that everyone has to participate in. We aren't going to lie, even as an adult, that sounds awesome. Like really awesome. Maybe you could talk to your kid about making it happen when they get their costume?